Memorial Day, the fabulous kick off to the summer season in the US, started us thinking: "How are we going to get fit for the beach and all the outdoor activies that come with warmer wearther? While many would like to go for long jogs, hit the gym, or do laps in the pool, work sometimes gets in the way of fitness dreams. So if you’re too busy at work to fit in a workout, how are you going to get fit for the summer? 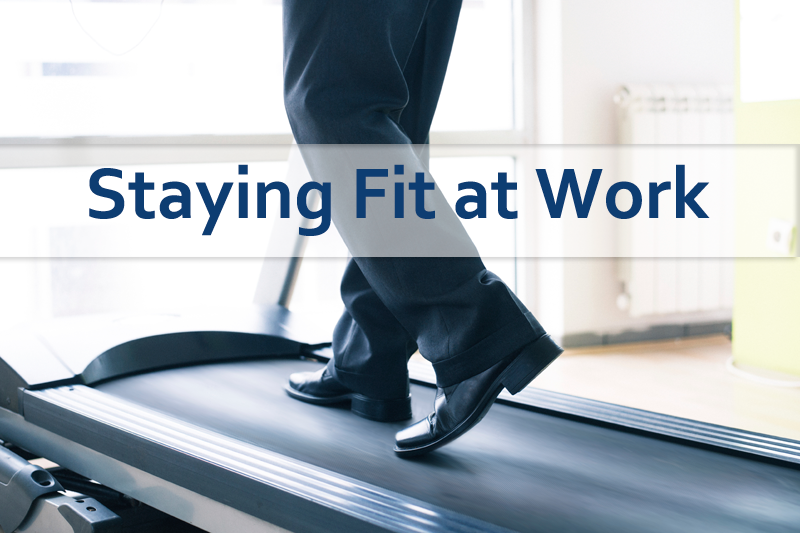 We’ve put together some tips on how you can squeeze in a bit of exercise during your work day. 1. Have walking meetings. Walking meetings can help you generate fresh ideas while burning calories and getting fresh air. 2. Park further away from the door. If you drive to work, park in the back of the lot if you usually park in the front. Take public transportation? Get off one or two stops earlier and walk the rest of the way. 3. Pack your lunch. Not only will packing your lunch help you eat healthier, it’ll save you money! 4. Take your lunch break. Yes, we mean actually get up from your desk and take your lunch break! If it’s nice out, grab the lunch you brought and walk to a park and eat it there. Check to see if there are nearby gyms you can join so you can workout at lunch. Your HR department might have a list of discounted gym memberships you can take advantage of. 5. Climb the stairs. Head to the stairwell and climb some stairs for 10 minutes to get your legs moving and your heart rate up. 6. Do calf raises at the coffee machine. While your coffee’s dripping, get your calves lifting! 7. Try these 10 exercises. Put your phone on mute during a long conference call and get in a workout. 8. Take fitness at work to the next level by making your desk your exercise station. You could get a treadmill desk, a standing desk, a balance ball chair, a resistance band, or even a small set of weights. Editor's Note: This is an update to a post published in January 2015.